It's been a while, but we've got more news on the game's development, including some eye-watering new screenshots! Welcome to another new Hearts of Oak development blog! It's been a particularly busy time of year for many of us on the development team, hence the long break since our last blog post. Now, though, things are starting to pick up again, and we finally have some more exciting news to share with you. Some of the materials used by our models have been improved with new features. 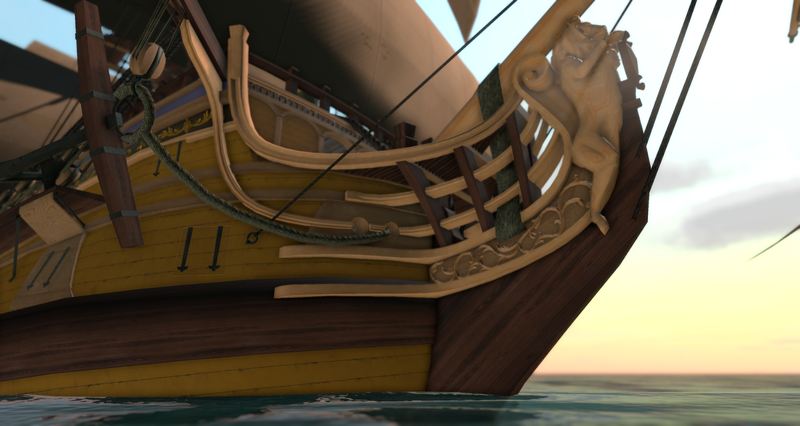 Most notable is the sub-surface scattering now being applied to the sails, which allows shadows to be cast onto them and remain visible on both sides. Trunks518 has been hard at work creating the Chart View scene for our first game version. The chart currently has towns which randomly generate wares when the game starts up, and saves this information for the next time the game is loaded. In addition, each town will determine what it needs, based on its own resources, and will send out a ship to acquire it from another town. 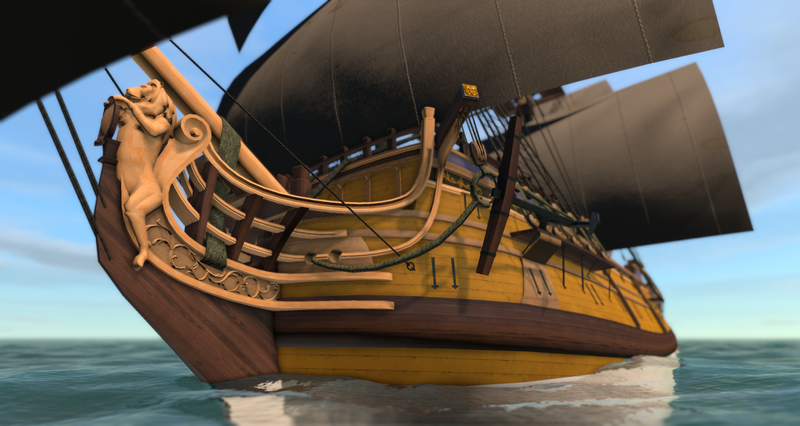 The AI ships will move between towns, navigating around islands and other ships. 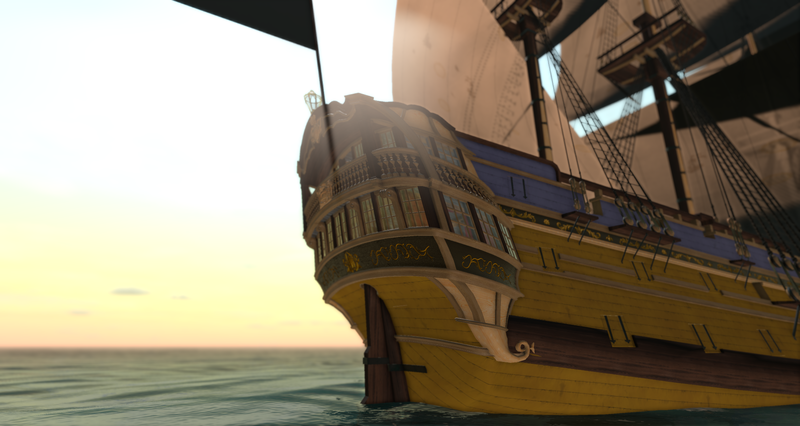 Currently, hostile ships do not enter combat, and the scene does not yet transition to 3D when arriving at a town (as is the final goal), but these features are still being worked on. Below is an early preview of the Chart View, showing placeholders for the ships and towns, as well as the boundary lines marking the landmasses. We must stress that this does NOT represent the final quality; it is just a glimpse into our current development. 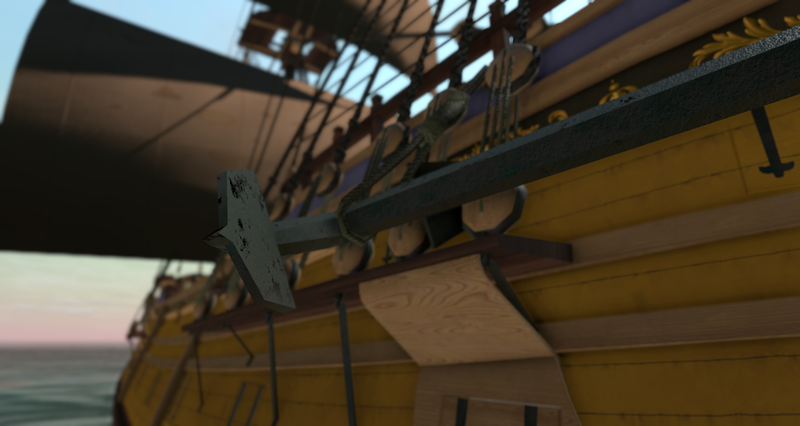 To help us speed up development of the first playable game version, we need more hands on deck. Our current developers are working to capacity during what little free time they have, and as a result, it's taken us longer to reach this point than anticipated. If you're familiar with C# and/or working with scripts in Unity, you can help! If you're interested in working on the gameplay mechanics with our developers, and you have plenty of time to spare, don't hesitate to contact us through our recruitment forum. We still need to produce an uncountable quantity of assets for the game, including character models, props, architecture and ships. If you're an able 3D artist, we always have something for you to do. Additionally, we need artists to help fine-tune features such as materials, the ocean shader and lighting for different weather conditions and times of day. This will take some of the burden off our developers so they can focus on other things. Remember, we're looking for volunteers only. If you want to join the team, please check our List of Development Roles for details. Wow, that water is looking incredible. Great CGI / 3D graphics! I stick to hand crafted 2D myself, but someday I might include some CGI in it to help. Well now this was a great surprise.